I created this Christmas card using a tree stamp from Inkadinkado. I stamped the image and embossed using green embossing powder. I added crystal stickles to the snow on the tree. The dots from top to bottom really make a wonderful enhancement for your beautiful tree. Thank you for sharing this beautiful art with us at Word Art Wednesday. Hope to see more of you before next year. 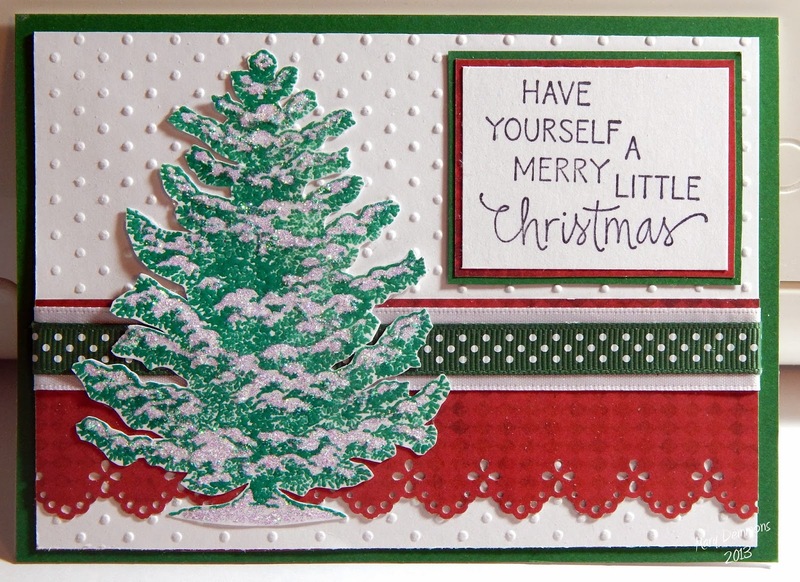 Starting with the embossed dots on your background to the layers of the paper lace and double ribbons - this layout is really nice Mary! The double matted sentiment is a nice detail and the simple snow covered tree is perfect with all the rest. Well done indeed! 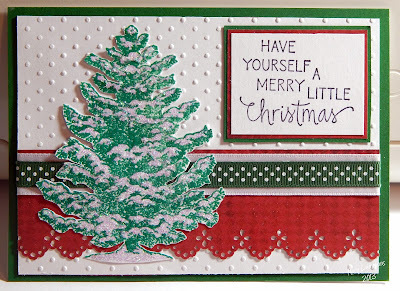 Thanks for sharing your project in the “Christmas + Sentiment” Challenge and Happy New Year! Love the embossed tree! Thanks for sharing your card at Little Red Wagon. oooh, Mary, this is so pretty..i love this card! Thank you for sharing at Tuesday Morning Sketches!